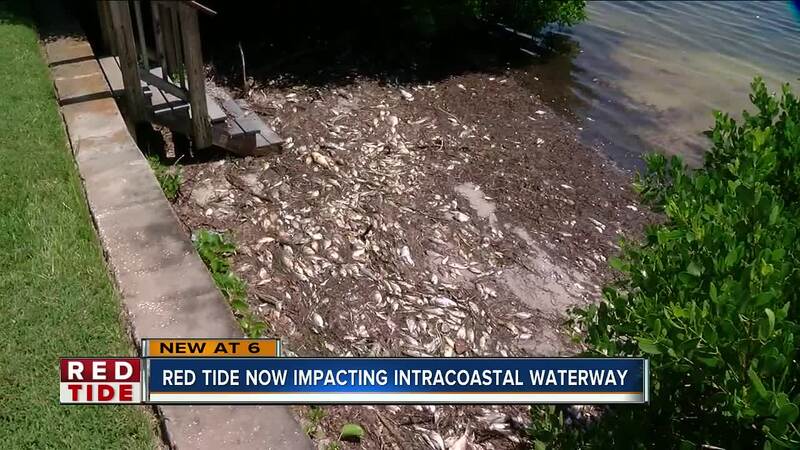 The toxic red tide in Pinellas County is now spreading into the Intracoastal where hundreds of thousands of dead fish are floating along miles of canals, piling up on the banks and drifting in and out with the tide. 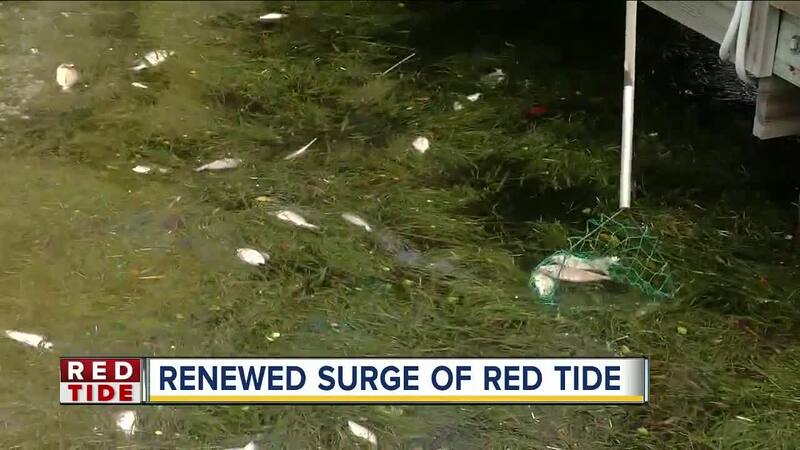 PINELLAS COUNTY, Fla. — The toxic red tide in Pinellas County is now spreading into the Intracoastal where hundreds of thousands of dead fish are floating along miles of canals, piling up on the banks and drifting in and out with the tide. “Dead fish everywhere. They’re everywhere,” Isla Del Sol resident Ed Manola said with a sigh looking out at a heap of dead fish collecting outside his Bahia Del Mar condo building. Within moments of stepping outside, Manola says the smell is bad enough to force him back into his home. Boca Ciega Bay was draped with dead fish Tuesday. 7 miles up the Intracoastal, Madeira Beach homeowner Deby Weinstein watched as a line of fish floated out with the tide. “They are just chug a lug together all swarmed in one area,” she explained. Contractors hired by Pinellas County are working to capture as many fish as possible before they reach the coastal waterways, but county leaders tell ABC Action News they need your help to net, bag and dump the fish…especially if they’re on private property. Crews are so busy keeping the beaches clean, that unless it's a very large fish kill, they won't be able to respond to every call. It's unwelcome news for Weinstein. “They’re heavy! They’re bloated and no I couldn’t pick it up. I’d probably fall in the water,” she exclaimed. With 890,000 pounds of dead fish washing up in Pinellas County over the past 1.5 weeks, cleanup crews tell ABC Action News they're doing as much as they can to fight the 1-million acre algae bloom. Governor Rick Scott voted Tuesday to allocate an extra $4 million dollars to communities across Florida dealing with red tide, including Pinellas County. Meanwhile, the red tide is taking a toll on seabirds too. 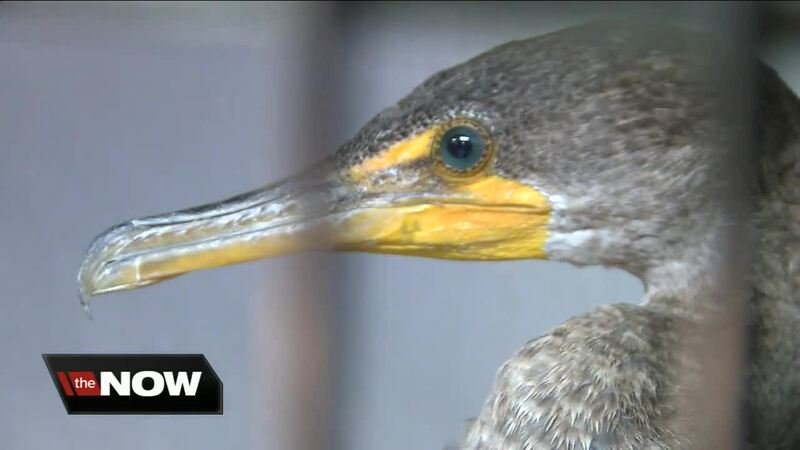 The Seaside Seabird Sanctuary in Indian Shores is caring for 30 birds that red tide toxins have poisoned. Volunteers tell us they’ve seen a big spike in just the past few days of pelicans, gulls, cormorants, sanderlings, and ruddy turnstones coming in with red tide poisoning. “They’ll act almost like they’re drunk you’ll see them walking on the beach and they’re having problems with their balance almost like a person who is intoxicated walking," explained Keith Wilkins, the sanctuary's director of operations. If you see any animals acting strange, even if you’re not sure if they’re sick, you’re encouraged to call FWC.